The state of Texas has struggled over the past ten years to pass “Safe Passing” laws for cyclists. The “Safe Passing” legislation has been up for legalization several times but has failed to be enacted into law. Some Texas cities are working on their own laws to protect vulnerable road users. This can include more than just cyclists. The last bill in Congress added any slow moving vehicles such as tractors. It also added equestrian riders, child skaters, runners and disabled persons. Though the bill failed, several cities are now passing legislation to protect this vulnerable group of road users. Ordinances that increase the safety of cyclists by regulating the conduct of motor vehicle operators define the “safe” distance for passing a cyclist as 3 feet for cars and 6 feet for trucks. It also stipulates that a motorist may not execute a right-hand turn in front of a cyclist without leaving a safe distance. Motorists are not allowed to throw objects at cyclists or other vulnerable road users. A task force from various city Bicycle Associations has introduced the safe passing concept while working with city staff to enforce them. The local police department and the city legal department continually labor to craft enforceable policies and laws that protect cyclists and other vulnerable groups. Cyclists Must Take Extra Precautions! In Texas and many other states, bicycle riders must take extra precautions in order to remain safe on Texas roads. Thousands of accidents involving bicycles occur each year injuring many riders. At times, the culprit may be dangerous road conditions. The City, County or State who maintains roads has a duty to maintain public property so that it’s safe to use. Other accidents can occur from faulty bike manufacturers. A bicycle manufacturer may be at fault for creating a poorly executed design or design flaw. However, in most bike accidents, a negligent motorist is found to be at fault. Motorists simply do not watch out for cyclists on the road. They make sudden turns in front of them or drive too close to them. In cases like this, serious accidents can occur severely injuring the cyclist. If you or a loved one has been injured in a bicycle accident, then you need an expert bicycle injury lawyer. At Zinda Law Group, we will work on your behalf to protect your rights. Our investigators gather all evidence so that we can build the strongest possible case. You may be concerned about who will pay mounting medical bills, lost wages, and your pain and suffering. Zinda Law Group PLLC works for you to see that you are fully compensated for all damages to your bicycle and gear, plus all medical bills, lost wages and pain and suffering. As our client, you are more than just a file number; you are family and our staff and attorneys are accessible when you have questions concerning your case. 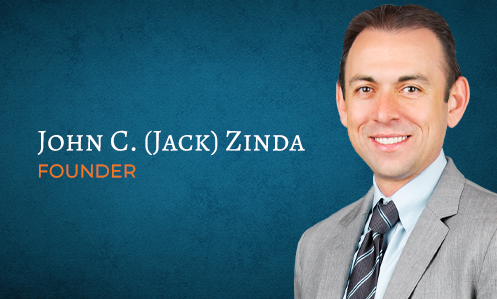 Zinda Law Group will evaluate your case free of charge. Choose aggressive, determined legal representation if you want results. Choose Zinda Law Group PLLC, your Texas bicycle injury lawyers.